Ginger Mochi Cannelés – Happy Chinese New Year! 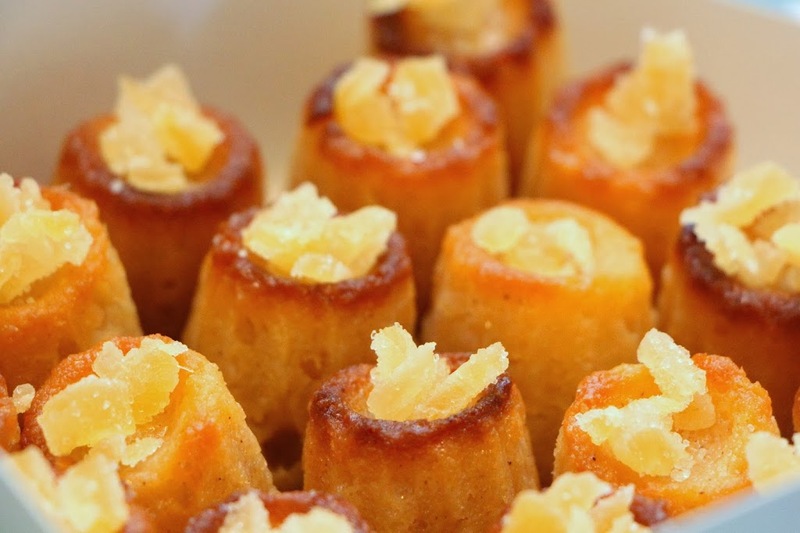 These little cannelés are chewy little bites of gluten-free cake, dipped in a ginger simply syrup and topped with sea salt and candied ginger. I first read about these on the Hungry Rabbit blog and meant to make them for a potluck a year ago. However, I was busy with work and pastry school and I never got around to making them (or attending that potluck). This year, I finally made them to ring in the year of the horse, but again I was unable to make it to the Chinese New Year gathering where I intended to share these with friends. These are a play on the traditional nian gao (rice cake) eaten to celebrate the holiday. If you’re expecting an actual nian gao, this is not it. It won’t be glutinous. However, it is definitely chewier than any typical cake, and because it’s made with rice flour and mochiko, it’s gluten-free. I’m not a huge ginger fan, but these smelled and tasted delicious out of the oven, and I feel like the flavor balance has even improved over the last couple days. The original recipe from Hungry Rabbit lists “vanilla extract” twice. I’m not sure if that’s a mistake, but I don’t think it makes a huge difference. 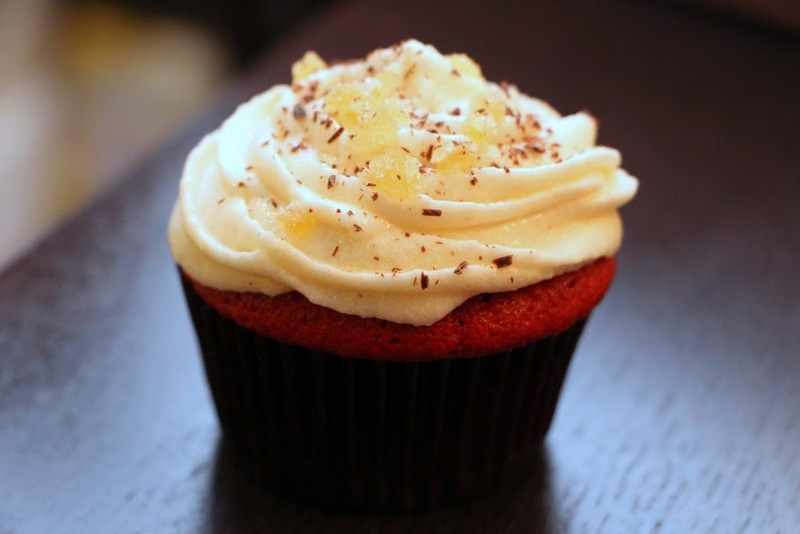 You can use vanilla extract twice, or try almond or ginger extract in addition to vanilla extract. Adjust oven rack to lower-middle position and heat oven to 350℉. 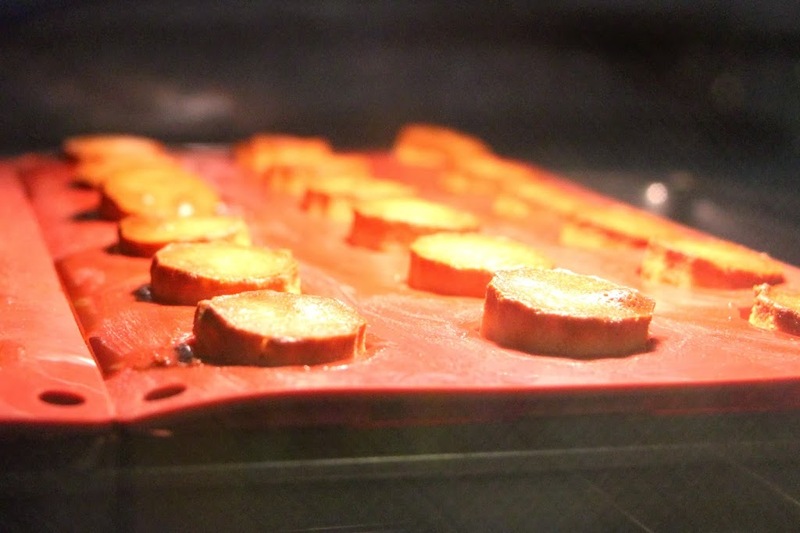 Spray two 1-oz silicon cannelé molds with cooking spray and place them side-by-side on a baking sheet. Set aside. Whisk together mochiko flour, rice flour, ground ginger and cinnamon, set aside. Pour milk mixture into a large bowl and whisk in flour mixture until fully combined with no lumps. Fill each mold just below the top and gently tap the baking pan on the countertop a few times to release any air bubbles in the batter. Cover remaining batter until ready to use. Place baking sheet in oven and bake until golden brown, about 40 minutes. Make ginger syrup while cannelés are in the oven. 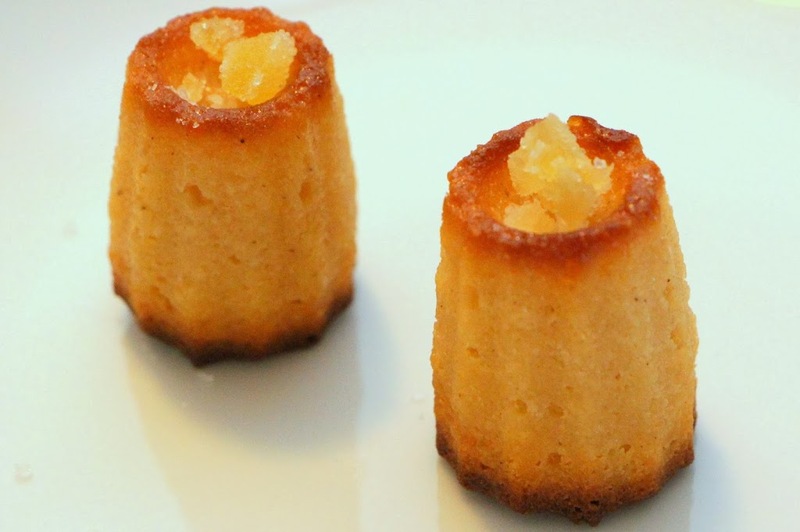 When cannelés are done, remove from oven and release them from the mold immediately. Dip each cannelé in ginger syrup until fully coated, about 10 seconds; place them right-side-up on wire rack to cool. Sprinkle with sea salt and top with chopped candied ginger. In a small sauce saucepan, combine water, sugar and ginger; heat over medium heat until sugar is dissolved and mixture comes to a simmer. Remove from heat, add Canton, stir to combine and set aside until ready to use.